The West End String Quartet came together in 2005 because of their shared passion for chamber music. Since then, WESQ has been entertaining audiences across New England with an exciting and varied repertoire of chamber music. Strong advocates of contemporary music, WESQ strives to bring new and uncommon repertoire to their concerts, pairing them with traditional works. In 2006, the quartet collaborated with Ruby Fulton for the premiere of The Slow Revolution. Repeat performances of this work were sponsored by an Encore grant from the American Composers Forum. Highlights of recent years include the Ives Vocal Marathon Project at Wesleyan University, and the premieres of James T. Lindsay's Second String Quartet and Dan Román’s Sonora Complexidad. WESQ has performed music by local composers on Capitol Community College’s Hartford Composers Series. In 2011, WESQ toured the East Coast with the modern opera company Rhymes With Opera, giving performances in unconventional spaces to appreciative audiences in Brooklyn, Baltimore, Hartford, and Boston. 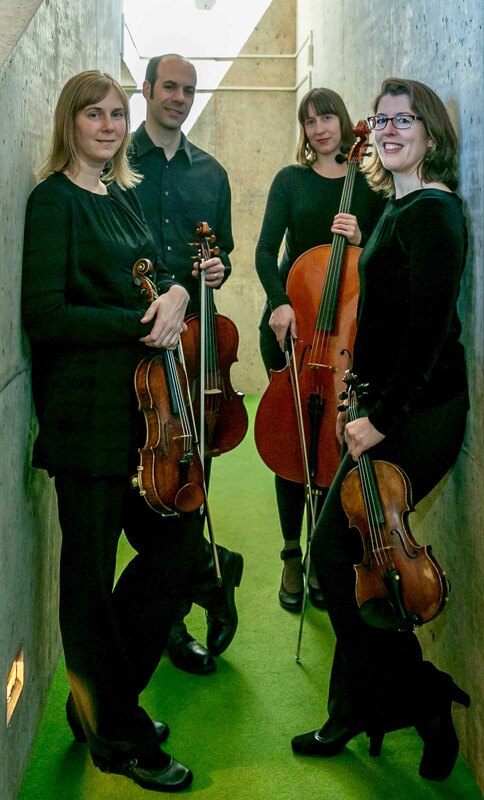 Dedicated teachers as well, the quartet leads the chamber music program at Wesleyan University, and presents a series of chamber music masterclasses at The Hartt School Community Division. Members of the quartet teach individually at The Hartt School Community Division, Baypath College, Three Rivers Community College, Greater Hartford Academy of the Arts, The David Einfeldt Chamber Music Seminar at Hartt, and Strings by the Sea in San Diego, and perform in Hartford, Springfield, New Haven, Vermont, Eastern Connecticut and Waterbury Symphony Orchestras.